Gold cameras are funny beasts. Sometimes they work, sometimes they don’t, but no matter what they always polarise peoples opinions. 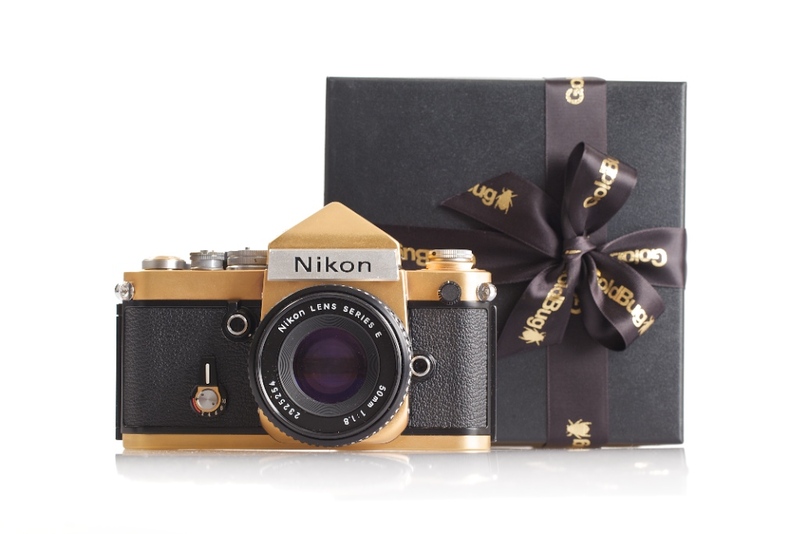 Goldbug take classic cameras and give them the midas touch. Read on. 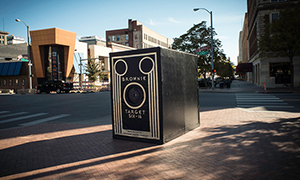 Ollie Blackwell likes to create golden versions of the great classic cameras. 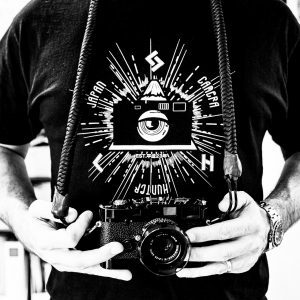 By taking classic cameras that we all know and turning them into golden cameras, he changes the view of the camera completely. 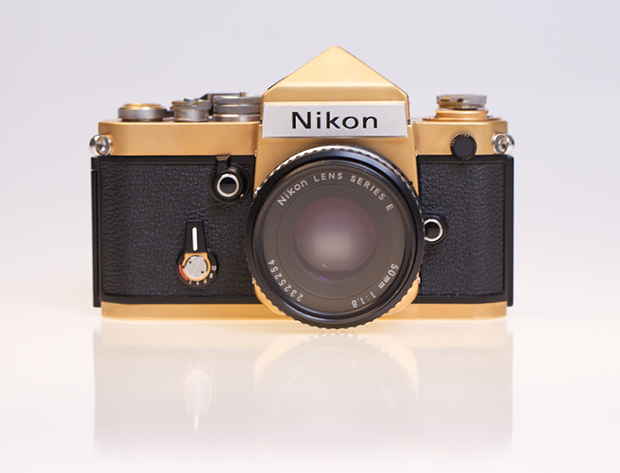 I have always been wary of gold plated cameras. There are a few of them about and there are some people out there making them too, but these ones from Goldbug are probably some of the nicest I have seen. 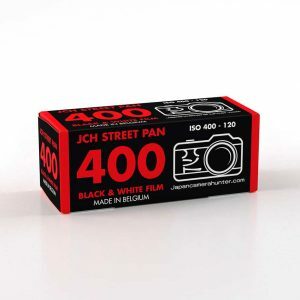 They are not too flashy and still retain the classic look of the camera. 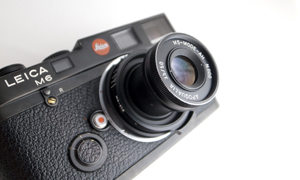 Many other plated cameras seem to think that the need to be swathed in lizard skin or ostrich leather, but the original leather looks just fine. 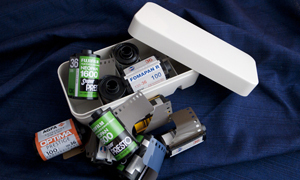 I have been a keen photographer for many years and have a small collection of 8mm, 35mm and medium format cameras. Although I shoot digital a lot I still find shooting and scanning slides far more rewarding. My wife is a jewelry designer (www.catherinezoraida.com) who works mainly with gold and gold plating. Catherine has gold plated some pretty unusual objects in the past and it suddenly occurred to me that she could gold plate my trusty Pentax K1000. It took sometime and a few attempts using different techniques but we got there in the end and it looked fantastic. Since then we have been perfecting the process and 2 weeks ago I opened the shop. It has been quite a learning curve with each different camera throwing up its own problems. Over time we have worked out what works and what doesn’t and have recently been sticking to a few models such as the K1000 and the Nikons. 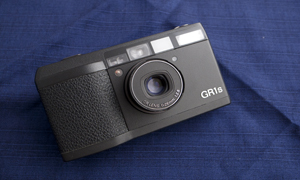 I have a few new cameras in the pipeline and I am looking forward to trying out some different models. 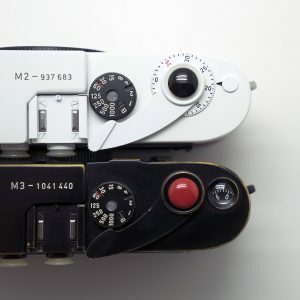 I really want to do a Nikon F soon and of course a Leica but I am yet to decide which one. I think the Nikon F2 looks beautiful and the FM2 worked well too. 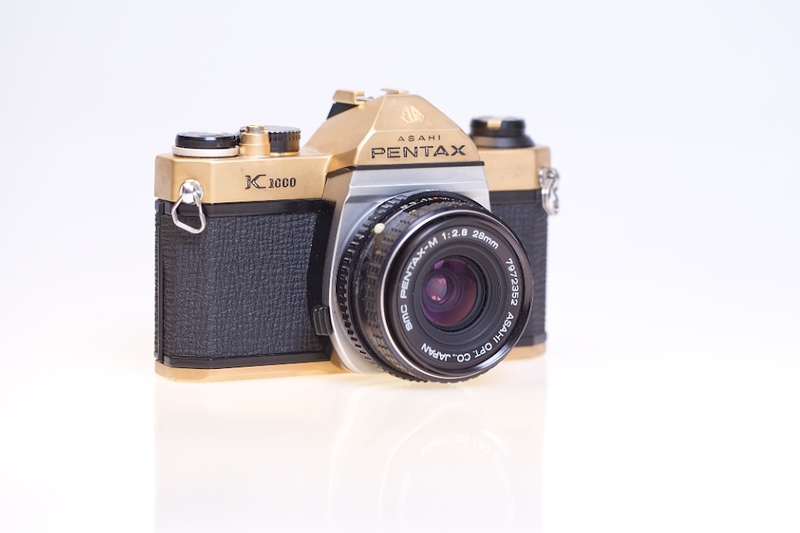 I also love my own Pentax as it is now quite battered and the gold has matted down a lot. Goldbug was born through a love of film photography and an appreciation for the beauty and simplicity of the 35mm camera. 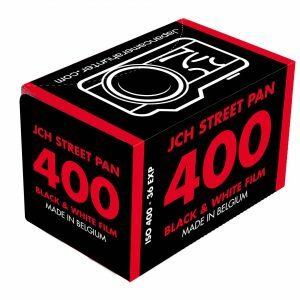 It celebrates the design of these classic cameras and offers a service of customisation to camera lovers. 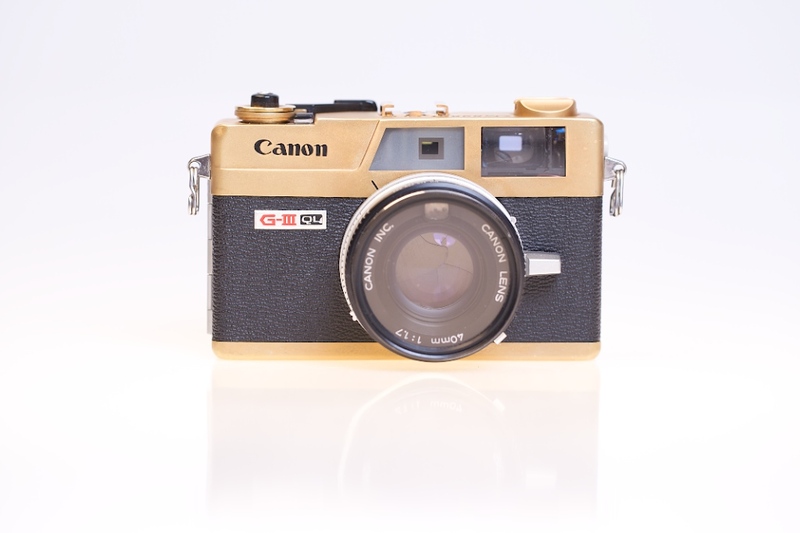 Of course cameras can hold huge sentimental value and many people already have a camera they love, Goldbug therefore not only sell gold plated cameras but offer a bespoke plating service for clients. All formats are welcome (not only film) and Goldbug have plated some pretty unusual things in the past. All Goldbugs cameras are plated with 18 carat gold in a matt finish. We can create a gloss finish if desired (see 8mm camera). Goldbug also has extensive experience with engraving and can offer anything from a special date to detailed artwork. In this digital age Goldbug feels these iconic objects can be overlooked. 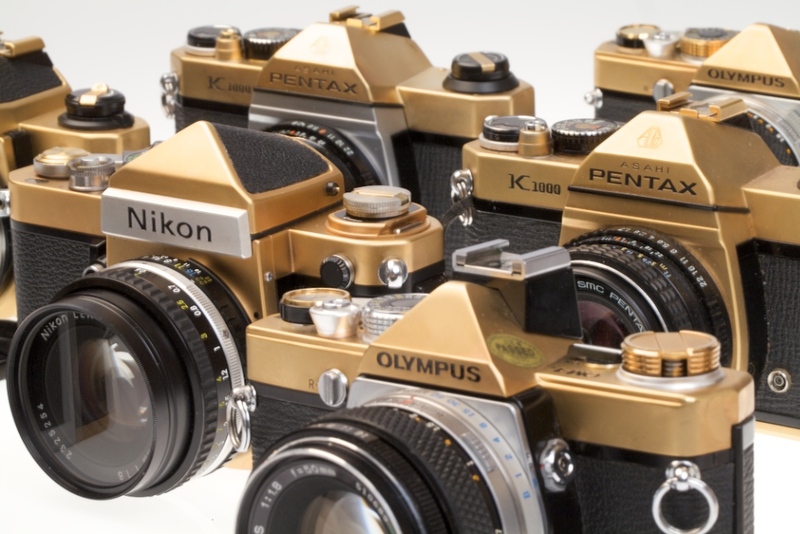 Finishing them in gold somehow allows us to see these cameras for what they really are, tactile objects of simplicity, strength, function, beauty and purpose. Design at the highest level. I think this is a great idea. 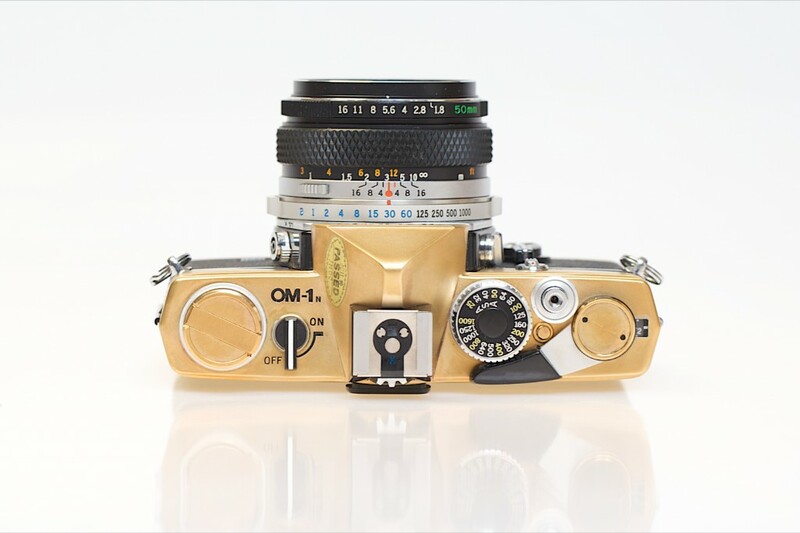 I personally would not have a gold camera, because I like my cameras to be a bit more understated, but I can imagine that there are plenty of people that would. And variety is the spice of life. 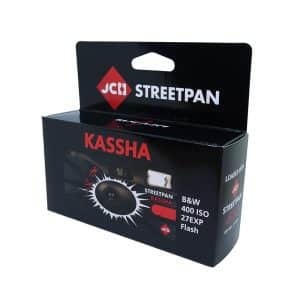 These cameras don’t come cheap, but having worked in the jewellery and gold plating industry myself, I know what sort of work goes into these and I am sure they will be of the highest quality. Thanks to Ollie for sharing this with us and I wish you success in your golden camera venture. As always, comments and thoughts are more than welcome.